Since moving to Dublin one of the things I have enjoyed most about this city is the AMAZING coffee, truly the best coffee I have ever experienced in the world. Most notably the Has Bean brand of coffee which is served in my favourite coffee shops here, such as Art of Coffee, Roasted Brown & 3FE. But it’s not just the coffee bean that is superior, it is the talented, enthusiastic and well trained baristas that make the coffee here so special. People do not get agitated here when their coffee takes more than 30 seconds to make as they know each cup is being made to perfection by a barista that takes care with each cup to make sure nothing less than the best of the bean is served. I was astonished that this deilcious make of coffee, that I had fallen in love with in Ireland, was actually from the UK and to my knowledge I had never drunk it in London – trust me I would know if I had as this stuff tastes nothing like the rubish from Starbucks, Pret or Valerie! So on a recent visit to London I was determined to get my hands on a cup of Has Bean coffee and see if it tasted as good on English soil as it does in my new home across the Irish sea. The reason for this experiment was that I had recently read a blog that said that actually there was a third and crucial factor that made the coffee in Ireland so good, it was not just the superior bean and barista, it was the water. So how would the water of London fare when tasked with making me a latte? The location for this coffee tasting was Fernandez & Wells located on the pedestrianised streets just outside South Kensington Station. I looked up where served Has Bean in London on their website and this was the closest one to where I would be. It’s quite a small coffee shop with just a few seats inside and a handful of tables outside. 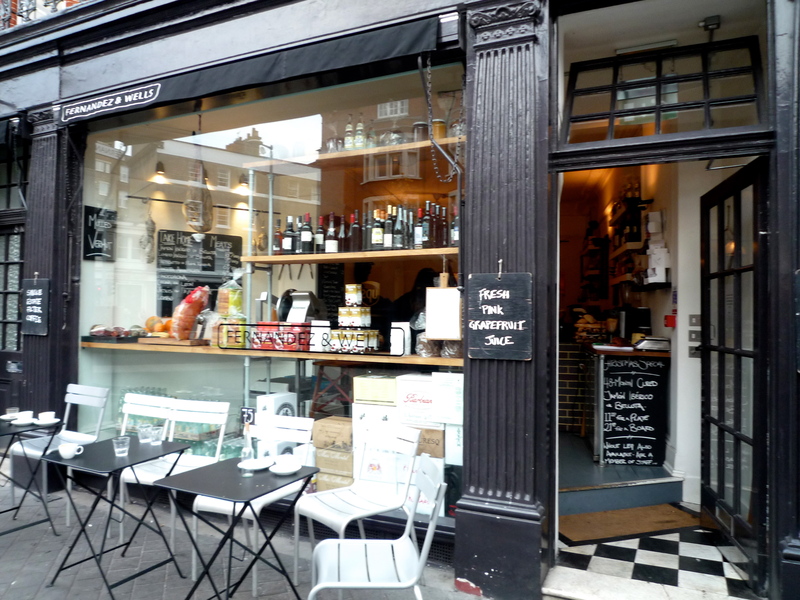 They serve soup, delicious looking sandwiches and a brilliant selection of sweet treats. 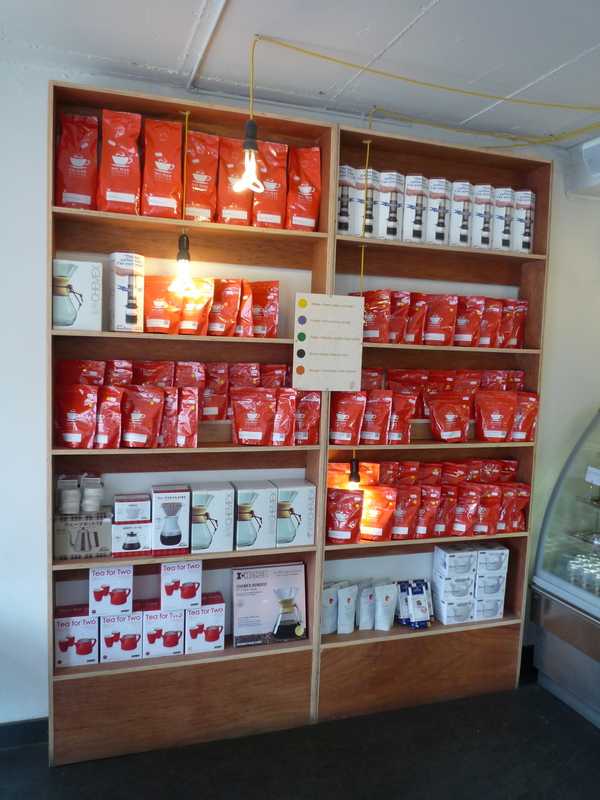 When I ordered my latte I checked with the barista that they did indeed serve the Has Bean blend as I couldn’t spot there eye-catching red packaging anywhere and when an Irish accent confirmed that they did I felt right at home. With an Irish barista I was confident I would get a good cup of Has Bean and we had a good chat about the various coffee shops in Dublin that now serve the brand he made daily for the british public. prosciutto for sandwiches made to order. In true Irish style I had my coffee outside and I was happy to wait a good few minutes for it to be served as I knew that meant that the barista was taking his time over each cup to make it just right. So what was the verdict? It was certainly an excellent cup of coffee, I really enjoyed the Has Bean blend and the frothy milk was just right. However, there was a noticeable difference between a cup of Has Bean in Dublin and London, I cannot really put my finger on what it is, but it’s just not as good, it lacks that WOW factor. But what it definitely true is that it is head and shoulder above any other coffee you can get in London from any of the chains that litter the London streets. Coffee shops that serve Has Bean in Dublin: 3FE, Roasted Brown, Cup, Art of Coffee.